Today marks a turnaround in Young Travelers of Hong Kong. Long time writer Jason has joined since the Hong Kong Airline News-Young Travelers of Hong Kong transition, and he’s written a huge load of trip report installments up here, including his latest Finnair trip report, with his experiences on the Finnair A350 and Cathay Pacific A340 (as well as his amazing ground experiences at Helsinki Airport). 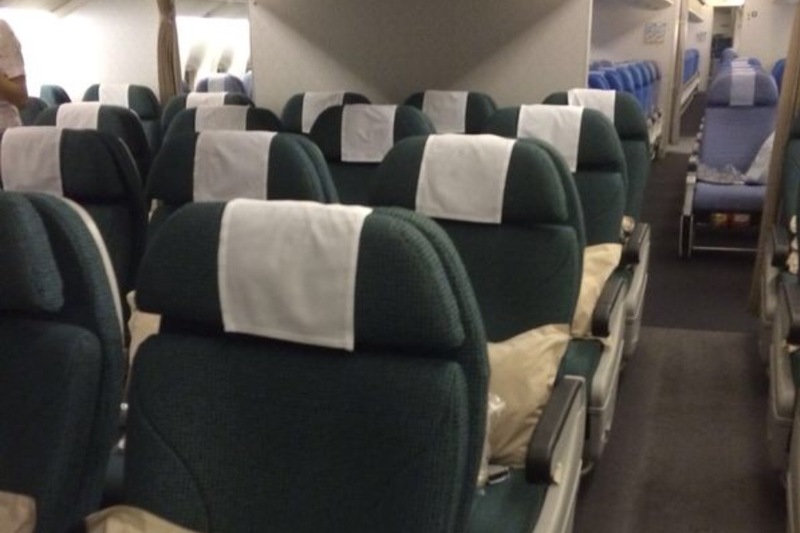 So, today Jason, as usual, sent me a picture of his flight in Cathay Pacific business class from Hong Kong to New York. He dubbed the service great but not amazing, so not to the level of the last time he flew the route (the review of that will be on soon). Except it’ll be a while before he flies back. Jason is officially going to be boarding in Hightstown, New Jersey. That means that Newark and JFK will be his base airports from now on, apart from the few times a year where he’ll be back here. Wish Jason luck in the comments section below as he starts the next chapter of his life!